With new casinos often comes a little concern. Will they survive in such a competitive industry? It’s a fair concern. Many online casinos just don’t generate enough revenue to cover their first year of costs, so they shut down, leaving players bankroll-less. 6Black online casino may be fairly young, but it’s quickly gained popularity. The first thing you’ll notice is the site’s simplistic, yet elegant, black and white colour scheme. The number 6 and black-tie attire logo are beautifully displayed on a white backdrop. It’s pure class. 6Black is licensed and regulated in Curacao and is managed by Alpha Interactive Solutions N.V. These guys have a string of online casinos under their belt, so they have a decent amount of experience to draw on. Are you starting to get even a little curious? Great! 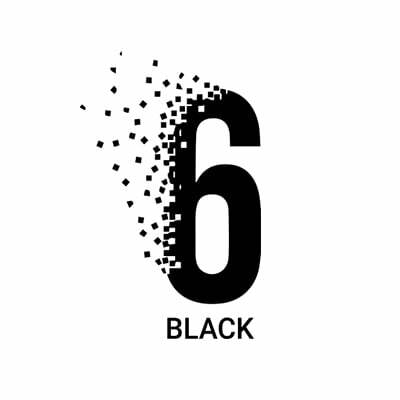 Let’s find out more about 6Black casino. It may not be the hugest welcome bonus around, but it’s not one to scoff at, either. In fact, with up to £1,500 to boost your beginning bankroll, we’ll call it rather decent. The offers don’t stop there. 6Black also makes mention of giving you a bonus for every deposit. The site has yet to break down what those bonuses entail. 6Black offers banking options based on where you are, so before you pick an option, just make sure it is offered in your country. Another point to note is that this online casino does not charge further fees for making deposits, no matter which banking method you use. That’s a thumbs up from us. Here’s another interesting fact. There doesn’t seem to be a dedicated section for withdrawal methods at 6Black Casino. We did a little digging, though, and found the information hidden away within the site’s FAQ section. We’d like to suggest that the operator might want to reconsider the layout of its banking page. As a casino player, you probably need to know that before you deposit money, you can get it out, how and where. Withdrawals, as always, are subject to a few terms and conditions, and if you want to know what withdrawal fees you’ll incur, you’ll need to login and visit the withdrawal tab – they’re not clearly laid out on the site. Okay, we’ve had a little moan about the banking at 6Black, so let’s see what games are on offer. This online casino is powered by some of the best casino game developers in the biz. There are games from Betsoft Gaming, Extreme Gaming Software, 1×2 Gaming, GameScale, Nektan, Amaya Gaming, Thunderkick, NetEn, ELK Studios, Nextgen Gaming and Gameart. The collection of casino games at 6Black is rather unique. There is a decent myriad of upcoming gaming developers to be found here who are responsible for securing several lesser-known slot machines. With a menu of over 100 games, you’re spoilt for choice and can have hours of fun trying out different slots. Whether you win a small payout worth a couple of coins or hundreds of thousands of pounds in a non-progressive jackpot slot, you’re sure to find titles you’ll love. Some of the more popular titles on offer here include Gonzo’s Quest which has a massive slot player following. All the slots boast crystal-clear HD graphics and audio, making for a highly immersive online gaming experience. If you’re serious about playing to win, 6Black may have something for you. Online casinos offer the chance to play progressive slot jackpots as well as non-progressive slot jackpots, which are incredibly popular amongst gamers. This is because the slots have the most decent Return to Player ratio of 96% or greater. Of course, progressive jackpots have the highest payout amongst the lost, often running into the millions of pounds. Yes, progressive jackpots can be hard to win due to the low RTPs, but at 6Black you’ll find the top five NetEnt slots that offer the highest RTP, including Kings of Chicago, Blood Suckers, Zombies, Devils’ Delight and Simbalabim. These slots’ RTPs range from 97.2% to 98%. 6Black online casino isn’t just about slots by any means. In fact, you can enjoy an incredibly interactive and varied gaming experience within the live dealer section. Here, you’ll find live baccarat, live blackjack, live poker and live roulette, all played in real time, with real dealers and a supremely awesome casino experience. 6Black casino has it’s very own mobile app and it is a work of art thanks to their tech team who continue to work tirelessly to ensure online play surpasses player expectations. This online casino is optimised to support both mobile and browser game play, so you can indulge in all your favourite slots and table games whenever you feel like, no matter where you may be. All you need is a tablet or smartphone, an internet connection and access to either the Apple Store or Google Play depending on your device. Once all that’s sorted, you can download the official 6Black casino app. Ideally, aim for a LTE of 4G stable internet connection that allows for high speed, live-streaming of the casino’s live games without interruption that could result in disqualification from live events. This online casino’s mobile app fits perfectly onto your mobile screen during gameplay, making sure you get the very same experience you’d get on your desktop PC browser. You can also enjoy all the usual security measures, make deposits and withdrawals, contact customer support and use the casino’s bonuses and promotions. This mobile casino app is purely seamless. Just like any casino worth its weight, 6Black uses a proprietary Random Number Generator which helps the casino guarantee fair gaming results. If you plan on using Bitcoin to fund your casino account, you need to be aware of cybersecurity and feel safe. You can at 6Black. The casino is completely encrypted with the help of 128-bit SSL technology which means it is completely safe and secure. Data transmitted between the casino and you is done over a secure server using the most up to date firewall technology. 6Black online casino is licensed and regulated in Curacao. The casino advocates responsible gambling and you must be over the age of 18 to open an account. You can get help at this online casino 24 hours a day, every day of the week. If you need help, you must send an email with your personal details, such as name, email address and phone number along with your query. If you need a more instant response, you can always use the live chat or telephone options. 6Black takes customer care seriously. The team are responsive, well-trained and totally professional, so you’ll be sorted out as quickly as possible. There seems to be a lot to like about 6Black. While this online casino is still young, there’s an excellent selection of software suppliers and that means hundreds of amazing games just for you. There’s also the impressive Live Dealer section that’s becoming one of the most popular ways to spend time at online casinos. The deposit options are plentiful and while their withdrawal options are just fine, we’d like to see more, and clearer, information on the site. The casino has only been around for a little while, which can make some players weary when deciding whether or not to sign up. But, with the reputable licensing and regulation, fair and safe gaming and sufficient layers of security, we’d say give 6Black casino a try. The only thing we’d suggest is if you do decide to make a deposit and start playing, just keep the minimal balance in your casino account and withdraw any winnings immediately. This can protect you should anything go wrong. Overall, 6Black is quickly making a good name for itself in the online casino industry. The welcome bonus is good enough to get you started and the gaming experience, especially on the mobile app, is superb. Go on, give it a try for yourself!